A newly arrived German immigrant, “Johann” Hussong caught gold rush fever in 1889. When his partner Newt House broke a leg near Ensenada, Mexico, Hussong nurtured him back to health at a local bar whose owner, J.J. Meiggs, attacked his wife with an axe one day. The wife fled to California and Meiggs soon followed leaving his bar in the capable hands of Hussong. Neither Meiggs nor his wife ever returned. 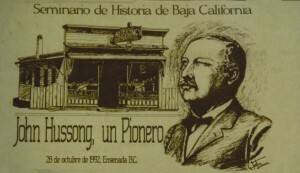 Hussong operated Meiggs’ bar for one year before opening his own venture across the street: And that is where Hussong’s Cantina stands today entertaining thousands of visitors from around the world with Mariachi bands, quality drinks, including the famed Hussong’s Margarita, and continuous tequila-shots contests. Almost a hundred and twenty years after the fortuitous soap opera events of 1889, the second Hussong’s Cantina opened in Las Vegas at the Mandalay Bay Shoppes on the Las Vegas Strip in January, 2010. 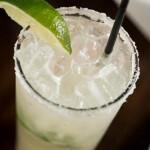 On the heels of its success and popularity a third Hussong’s opened last week in Boca Park Fashion Village, Summerlin. The 3,250 square foot restaurant features a full bar and a variety of new dining experiences including specialty “street taco” creations: Kung Pow Shrimp with creamy garlic chili sauce and agave roasted peanuts; Achiote Ribeye with guacamole and picked chile guero, Grilled Salmon with Sriracha aioli, and seared Pork Belly with cabbage, maple bacon aioli and chicharones. The Shroom tacos feature beer battered Portobello with tahini yogurt sauce, kale, habanero rings and Parmesan cheese. 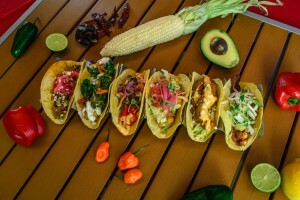 A one of a kind salsa bar, a full-service bar featuring the award-winning original Margarita, and a causal atmosphere where patrons can place food orders and have food delivered to their table adds a fun twist to an already classic Mexican eatery. Open daily from 11 a.m. until 11 p.m., Hussong’s Cantina, Summerlin, offers patio or indoor seating. 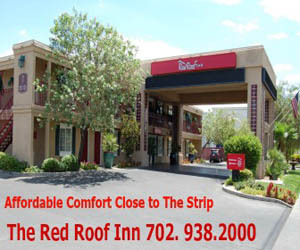 For more information, please visit http://www.hussongslasvegas.com/home or call 702-7782160.